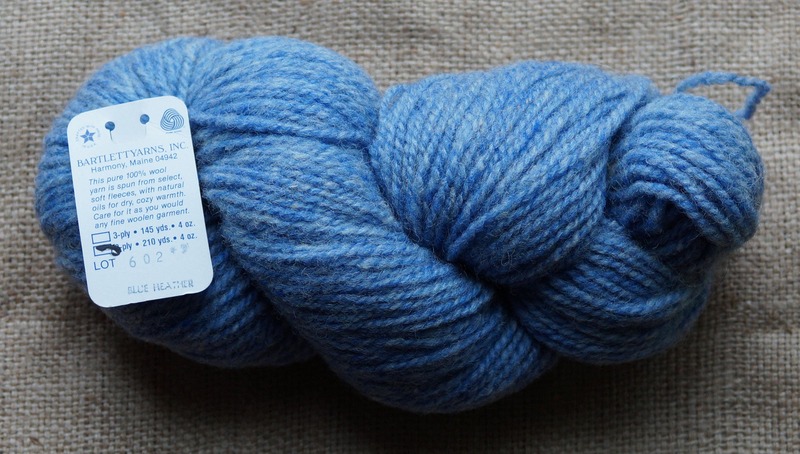 BLUE HEATHER 2 ply worsted or 3 ply bulky weight wool "Fisherman" yarn from Bartlettyarns. Made in Maine. 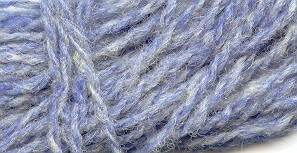 Worsted 210 yds or 145 yds bulky skein. and gold carded in. Difficult to see all the All yarn stored in plastic from time of purchase. Great product, and fast shipping. Thanks! Hoping my wife can make me some boiled wool mittens for my hiking trips.